There are hundreds of books, workshops, and classes that teach us how to communicate effectively with others, but very few of us pay attention to how we speak to ourselves. Best-selling author and communication expert Cynthia Kane believes this is a problem, and she is sounding the alarm! Kane writes that there is an unreported epidemic of negative self-talk in our culture today. Many of us speak to ourselves in demeaning and hurtful ways, using language we would never use with anyone else. To make matters worse, we often don�ft even realize when we are doing this, as these old mental tapes play in repeating loops without our awareness. 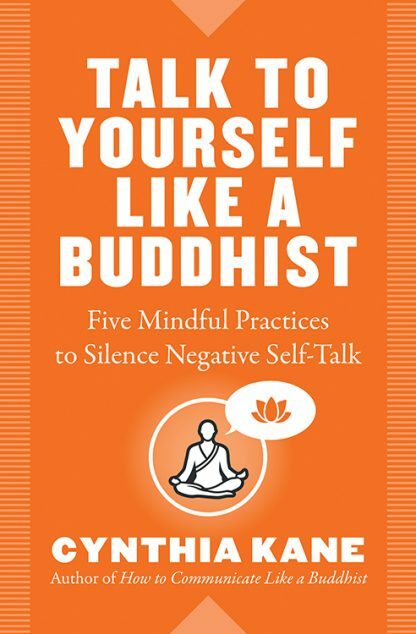 In Talk to Yourself Like a Buddhist, certified mindfulness and meditation instructor Cynthia Kane introduces the Middle Path of Self-Communication, which consists of five mindful practices—Listen, Explore, Question, Release, and Balance—all of which are grounded in Buddhist principles. When we speak to ourselves negatively, we set a tone for our day and our interactions with others in the world. Talk to Yourself Like a Buddhist can teach you how to turn off the enemy in your mind—and create a new relationship with yourself and the world around you--simply by noticing, investigating, and changing the words you use to speak to yourself. Cynthia Kane is a certified meditation and mindfulness instructor. Her work has appeared in numerous publications, including The Washington Post, Yoga Journal, and the Huffington Post. She lives in Washington, DC, and offers workshops and private programs.